In this unit pupils learn about the design, construction, finishing and marketing of a range of items from re-cycled materials, with emphasis on creating finished products of high quality that can be sold. 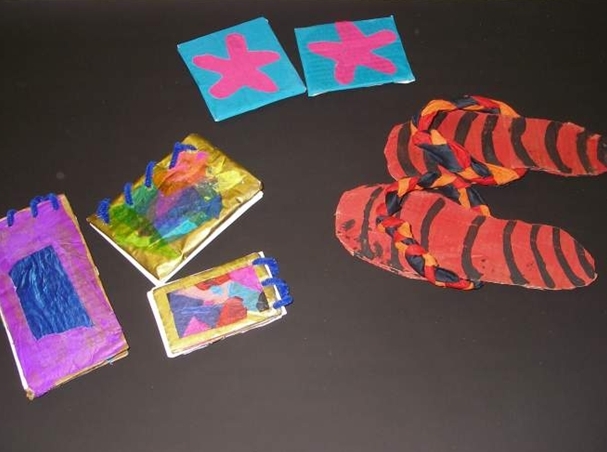 They learn to use this knowledge and understanding to design and make an item from a range of products using a combination of available materials. When fully tested and completed, the items may be used to sell to raise funds. This unit can be adapted by suggesting a limited range of potential products that link into other project work. Pupils will discuss why recycling is important, including cultural and geographical aspects and gather information to generate a number of ideas whilst listing the pros and cons of working with re-cycled materials. They can then discuss possible items that they could make and sell. The activities allow the pupils to investigate and experiment with structures and strengthening techniques, using a range of materials so that they become aware of how to construct each item correctly, and to identify the parts using the correct terminology. Pupils can plan a detailed step-by-step approach to designing their product and select a finalised design to begin work on. Understanding how the choice of materials and the accuracy with which it is made will affect the quality of the finished product. 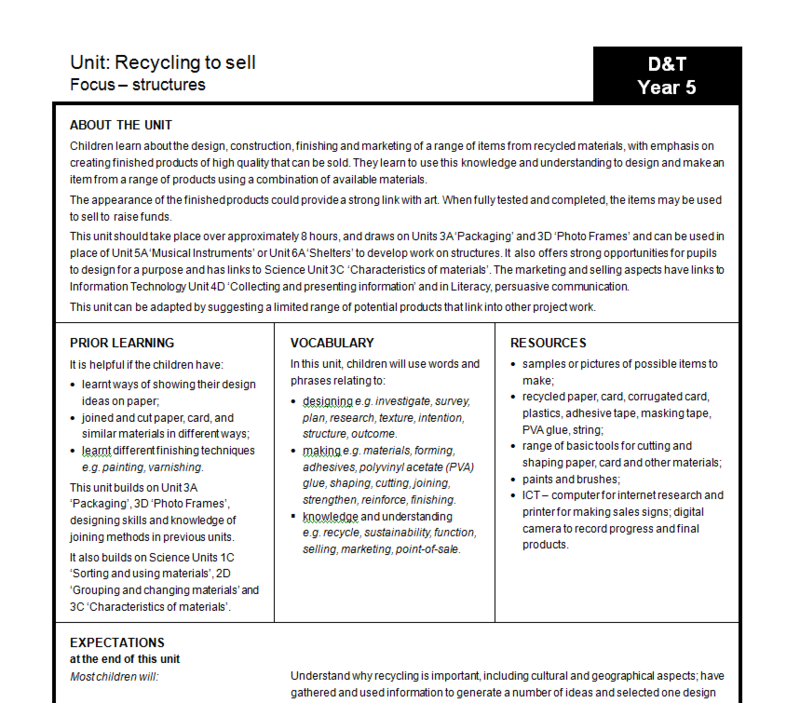 The resource contains a unit of work, worksheets and a PowerPoint presentation.